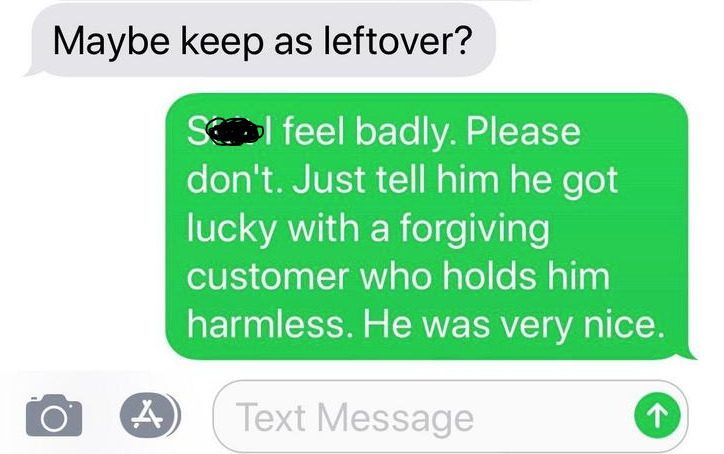 It's never a good feeling when you've waited on your food from a delivery driver for 45 minutes or so, only to realize there's a problem with your food after the person speeds off, leaving you with something you wish you hadn't paid for. You have half a mind to complain, but let's be honest: most of us are either too hungry or too lazy to make the effort. Plus, do you really want to be the kind of person who complains about a takeout order? Yes, in some cases its warranted, as long as you're not being nitpicky. Maybe you have a food allergy or a strong food aversion, and what you received is something basically inedible. 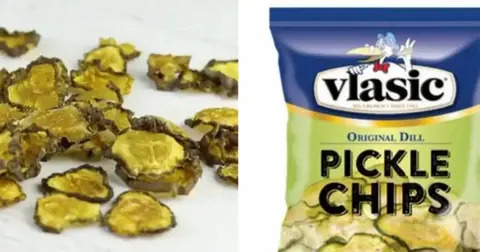 Now, if you're upset because you asked for 97 pepper flakes and you only counted 93, then I'd say, "Whoa dude / dudette, you've got great eyesight and Rainman-level counting abilities. 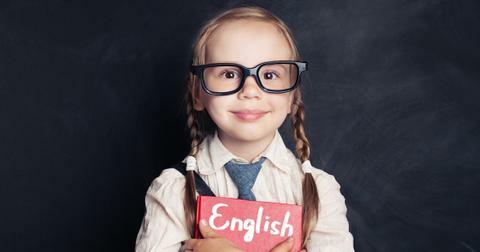 You should totally use that talent for something more productive." But what happens if you find yourself in the situation of this guy? 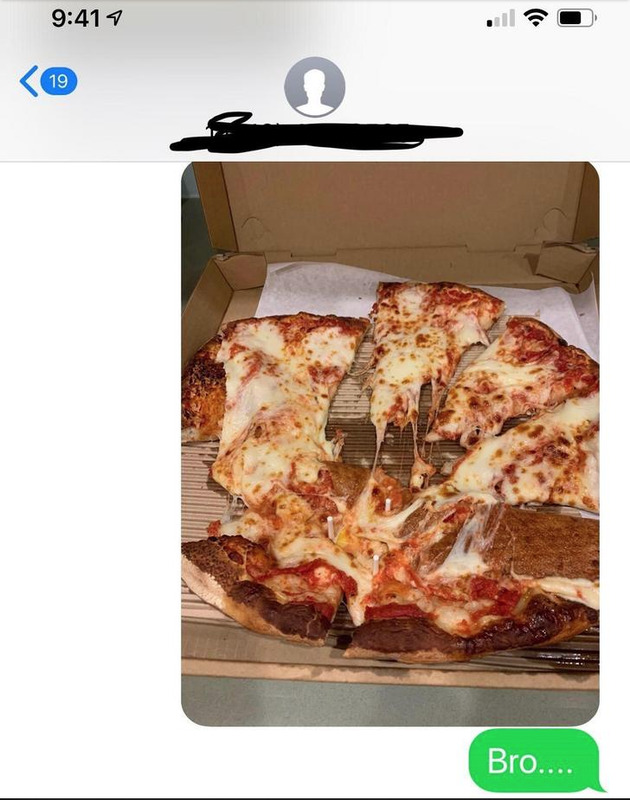 After receiving a pizza this mangled, he was definitely justified in texting the local pizzeria to complain. 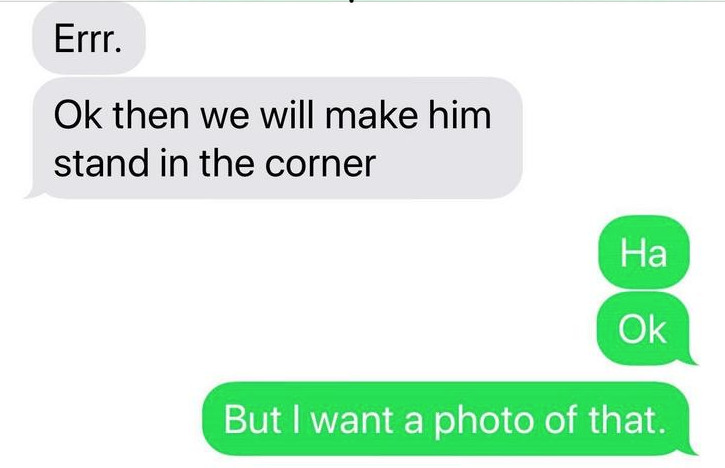 All he needed to do was text, "Bro" along with a photo of the sad-looking demolished pizza to get his point across. I'm no pizza expert, but that does look like it was probably a darn good pie before the driver, who clearly had no idea what they were doing, got his hands on it. I also want to take a moment to point out how cool it is that this dude can just text his pizzeria like this. After seeing the text, the manager immediately tried to set things right by offering a replacement pie right away. 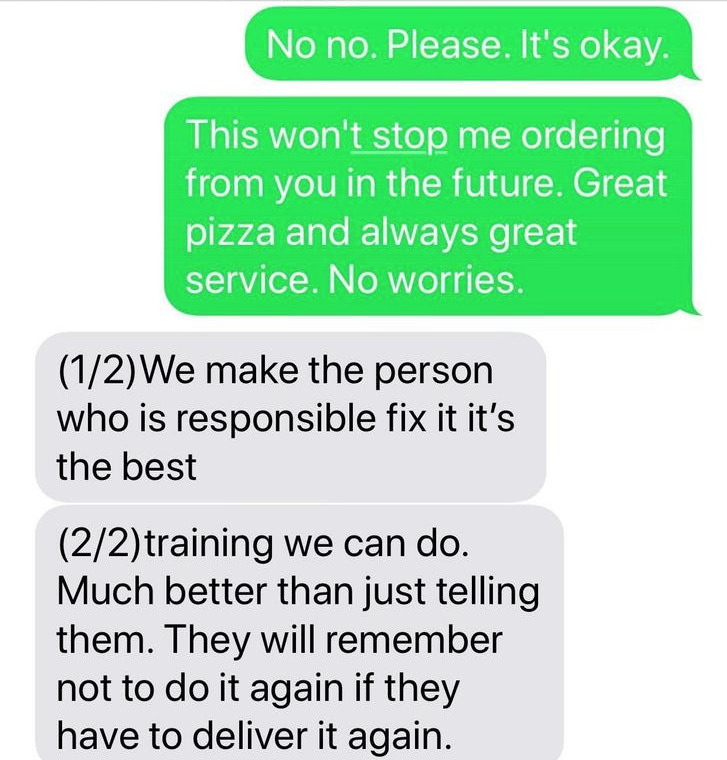 The customer immediately felt bad about pointing out the mistake (a feeling most of us can probably commiserate with), especially once the pizzeria's manager indicated he was going to use the incident as a training exercise. 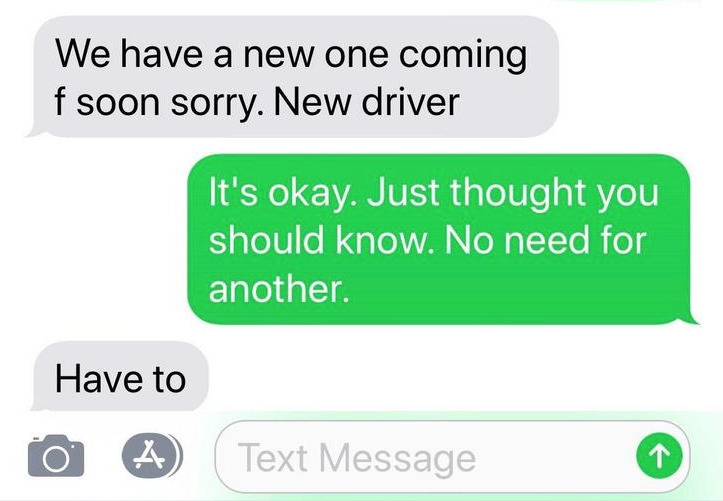 Once our bro-customer discovered they might be getting a new employee in trouble, they insisted everything was alright. Who wants to feel like they're jeopardizing someone's job? 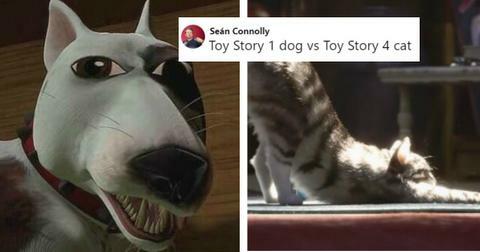 If you enjoy that sort of thing, you're probably an evil psychopath in most situations. 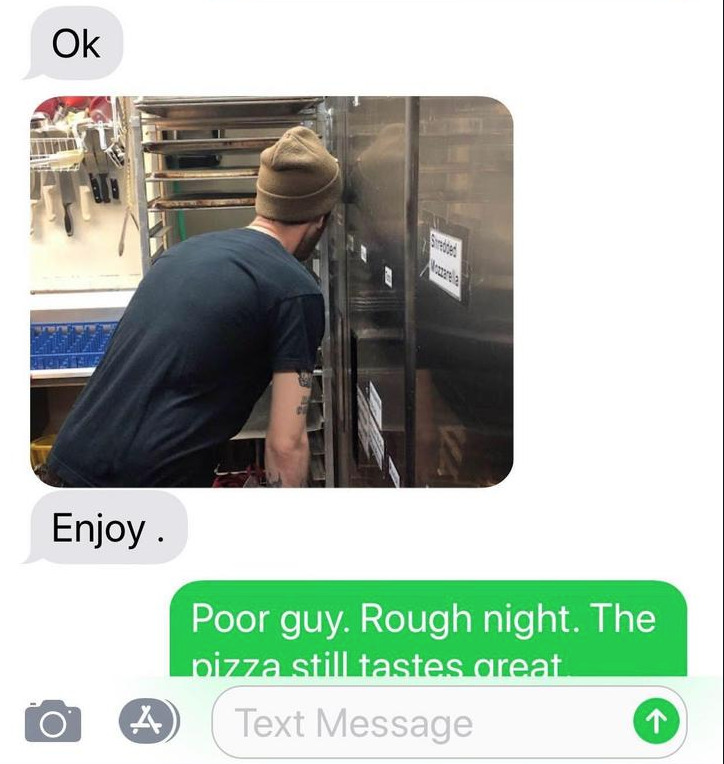 Bro-customer wasn't about that life, so he kept insisting to the pizza place that it was OK. Since some type of disciplinary action had to take place, the pizzeria manager decided to have some fun with it. They devised a wonderful compromise that would teach the delivery driver a valuable lesson about not trying to do the van jump from Dumb and Dumber while getting a customer their food. They actually made him stand in a corner. I'd like to think the forward lean on the wall was the driver's idea to ham up the situation and the beanie was a placeholder for a dunce cap. In any event, here's hoping no more pizzas are lost on his runs. 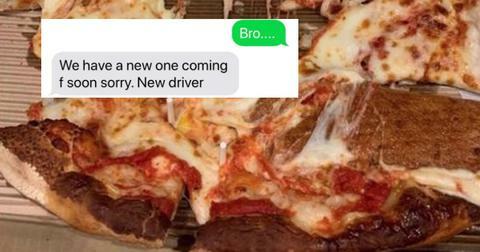 Some first-time pizza delivery drivers are a bit better at their jobs at others. 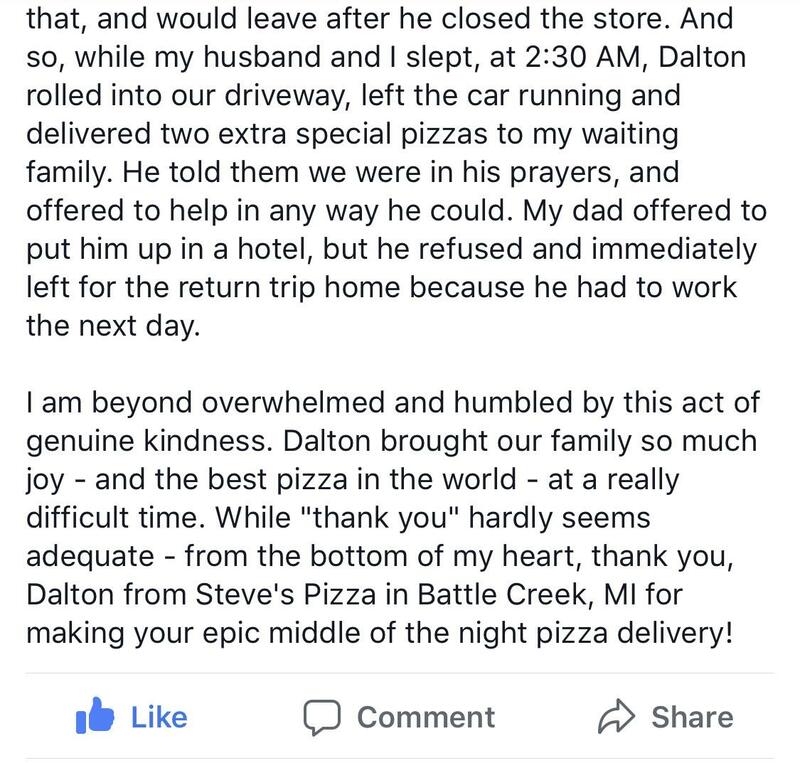 Like Dalton, an extraordinary man who did an extraordinary thing for someone who loved the pizza where he worked. 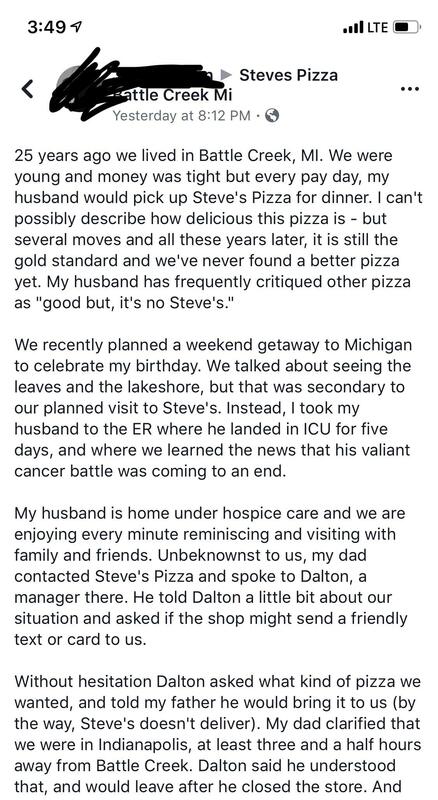 Steve's Pizza doesn't deliver, but that didn't stop Dalton from going out of his way to drive three and half hours to give an ailing customer the food they craved when they were under hospice care. Quick question, are tears a good way to season pizza dough? Asking for a friend who just wrote a story about pizza delivery drivers and is named Mustafa.